Majolica Majorca's eyeshadows are just so pigmented that when you swatch them a bit strongly than usual they're already as buttery as Western eyeshadows! 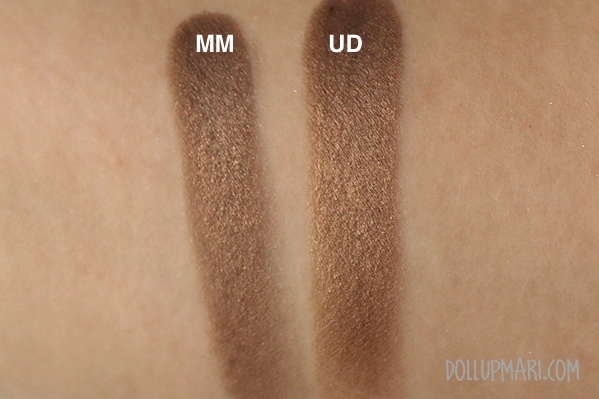 Today's dupe is between Urban Decay's baked, a coppery gold color from the Book of Shadows vol. 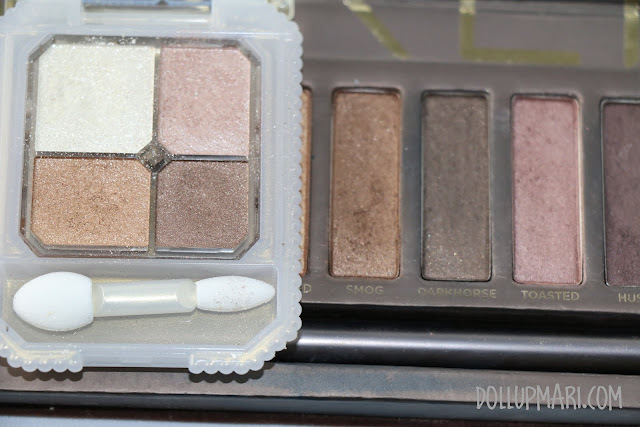 IV redux, and the coppery one on the Majolica Majorca Jeweling Eyes eyeshadow quad. In the previous photo, which was taken with flash, you could kind of see this really tiny difference between the two, but if you look at the eyeshadows in the pan and if you look at it with normal lighting (as represented by the photo below without flash), you could barely see the difference. I love these two actually, because I love coppery shades more than golden ones. 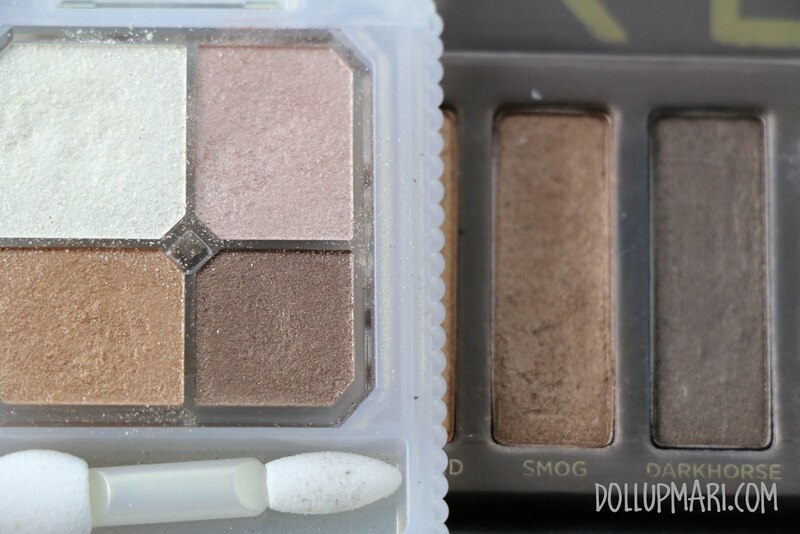 I also love the color payoff of both eyeshadows despite having differences in formulation. 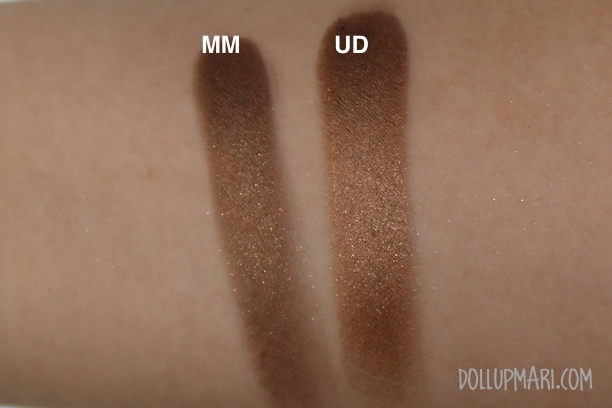 Baked is a strong shimmery metallic shade, while the one in the MM quad is a metallic glittery shade. The only reason why it doesn't seem so apparent is because Japanese microglitters are really small, that they're too large to be considered shimmer but too small if you're standard is the Western definition of microglitters. Tune in again for next week's #MDM! What else would you like to see in this section? Please do tell me in the comments box!